Product prices and availability are accurate as of 2019-04-18 02:34:53 UTC and are subject to change. Any price and availability information displayed on http://www.amazon.com/ at the time of purchase will apply to the purchase of this product. 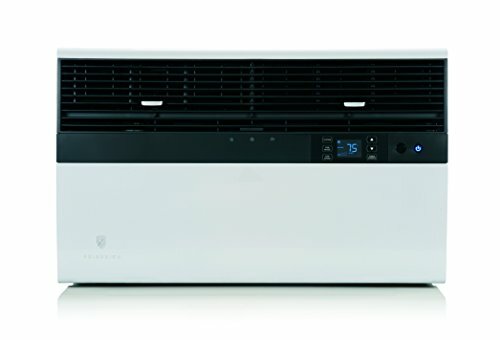 17500/17200 Btu 230/208v room air conditioner with slide out chassis. 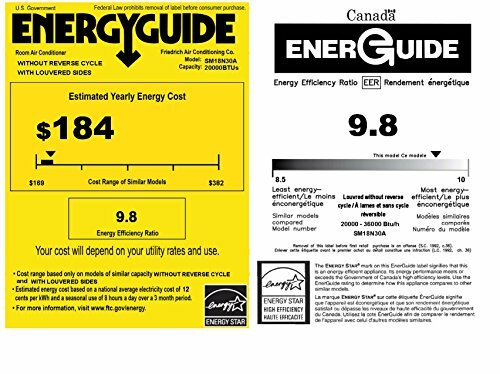 Energy star qualified. Kuhl offers more ways to customize your cooling experience than you ever thought possible: Wi-Fi control operate your air conditioner with a smart phone, computer or tablet with FriedrichLink for total freedom on the go. No more worrying about last minute schedule changes or forgetting to turn the a/c up or down or off when heading out -- which can both lead to wasting money on unnecessary cooling. And, pets are protected from unexpected weather extremes since you can control the unit remotely. 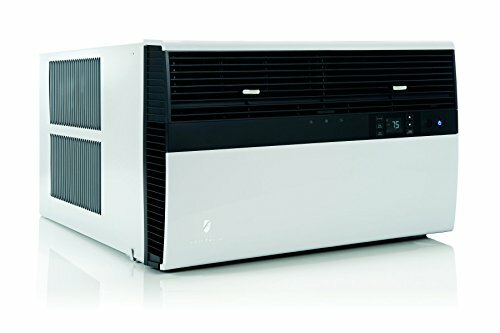 Earth friendly Kuhl is the first room air conditioner that is smart grid capable. Smart grid helps consumers be better informed about their electricity usage and allows electric companies to serve customer demand in the most efficient way. And Kuhl has recyclable packaging and is RoHS compliant. Custom schedules create custom 7-day schedules to maximize comfort and efficiency. Zone or central air-like operation use FriedrichLink to group two or more units for zone or central air -like control. Adjust settings and operate grouped units as one. Superior filtration optional carbon filter can adsorb odors and reduce ozone and VOCs to achieve up to a Merv 6 effectiveness rating. And Kuhl has a large fresh air intake and stale air exhaust vent. Superior sound reduction technology steel inner walls, extra dense insulation materials, vibration-isolating design and components, and precision engineering deliver ultra-quiet operation. Commercial grade quality Kuhl is made of robust components and materials like a 20 gauge steel and rust-resistant aluminum. Designer details ships in neutral gray. Six optional designer color kits are available as accessories and include: deep red, designer white, black onyx, cobalt blue, pink diamond and classic beige. Firm grip handles for easier handling, entry Gard anti-intrusion protection and an insect barrier.